TORRANCE, CA - Seika Machinery, Inc., a leading provider of advanced machinery, materials and engineering services, will display its new and innovative products at the upcoming SMTA Upper Midwest Expo & Tech Forum, scheduled to take place Thursday, June 7, 2012 from 10 a.m.-3 p.m. at the Hilton Minneapolis/Bloomington Hotel in Bloomington, MN. 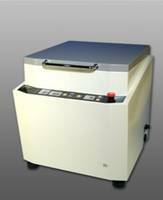 Seika's Solder Paste Recycling Unit enables approximately 90 percent of waste solder paste to be recovered as solder bar. The system provides a major decrease in disposal costs for factory waste, a reduction in CO2 emissions, and reduced costs for solder bar as a result of recycling waste. As an additional benefit, the recycling unit enables selection of manual mode and automatic mode using a touch screen panel. Seika will feature the new Sawa Eco-Roll large roll model that cleans wiper rolls up to 24". The Sawa Eco-Roll eliminates waste and saves money by reusing wiper rolls for printing machines. In addition to providing a reduction in waste, use of the wiper roll cleaner results in reduced CO2 emissions in just 20 minutes. 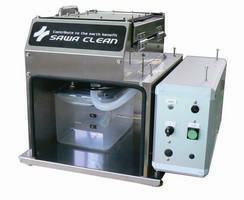 The SC-EN20E Sawa Eco-Nozzle Mounter Nozzle Cleaner cleans 20 nozzles at a time. With the system, ultrasonically-vibrated water thoroughly passes through every nozzle opening. Double-cleaning power is generated with ultrasonic-energy cleaning and simultaneous vacuum suction. Nozzle tips and apertures can be cleaned without leaving any residue. The Sawa Eco-Nozzle is compatible with Panasonic, YAHAMA and JUKI nozzles. A wide range of nozzle holders are available to accommodate most mounter manufacturers. The Seitec Bravo STS-2533 IN H & SJ Soldering System is specially designed for in-line and modular selective soldering. The programmable system features a special nozzle design and a spray fluxer unit, enabling flawless soldering of leads and pads. Additional features include a conveyor with roller, a specially designed solder pot and a drawer-type solder pot. The Bravo STS-2533 from Seitec is the ideal soldering solution for mass production. The Andes Solbot II Multi-Point Selective Soldering System uses customized and dedicated fixtures/nozzles. The lead-free compatible system is user-friendly and features a compact footprint of only 540x720x250 mm. The Solbot can solder PCBs up to 260x340 mm. Additionally, the number of components on the PCB does not affect tact time. The new AI-TEC PCB Conformal Coating and Curing System is a patented conformal coating dispenser designed to control both the temperature and viscosity with a circulated pump unit. The system controls coating width with ultra-precision. 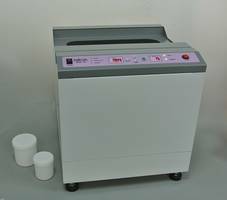 The compact, space-saving design features a combined drying (curing) unit. The AI-Tec PCB system features an option for auto or manual changeover and width change, QR code reading, and is server communication ready. Additional features include dual-side coating, tilt, double-head, jet-dispensing and masking. The AI-TEC PCB Conformal Coating and Curing System is customizable depending on customer specifications. For more information, stop by the show or visit www.seikausa.com. Twin Table PCB Router is integrated with image-processing software. Electronic Drying Storage Cases/Cabinets have ESD-safe design. Wetting Tester simulates SMT mounting and reflow processes. LED Flood System cures UV/Visible light cure adhesives. LED Flood-Curing System features touchscreen interface. UV Cure System suits benchtop production.